Project: Downtown Phoenix Journal | What can IVIO Agency do for you? DPJ offers a friendly insider’s view of downtown events, restaurants, cultural hot spots, and profiles of people on the City scene. They cater to residents who support our downtown and savvy visitors who want to Go Where the Locals Go. 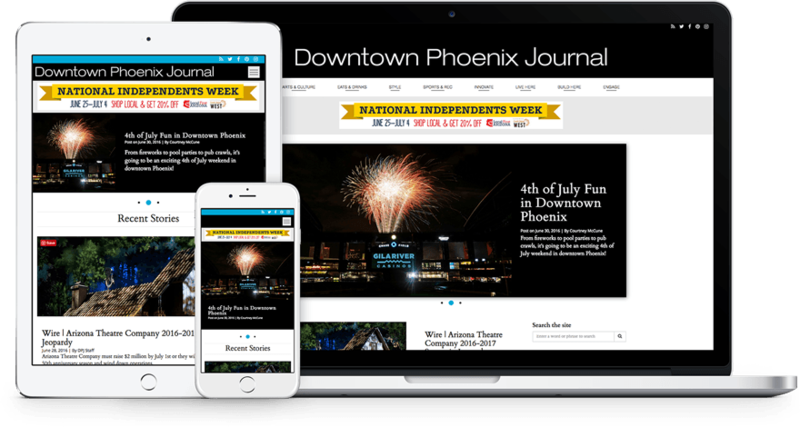 We believe in Phoenix and are honored to have worked closely with DPJ staff on their website design and development.